The L&D focus today is on engaging learning strategies that facilitate application of learning and can create a positive ROI. This article showcases 10 Microlearning formats that you can use (for both formal and informal training) to meet this mandate. 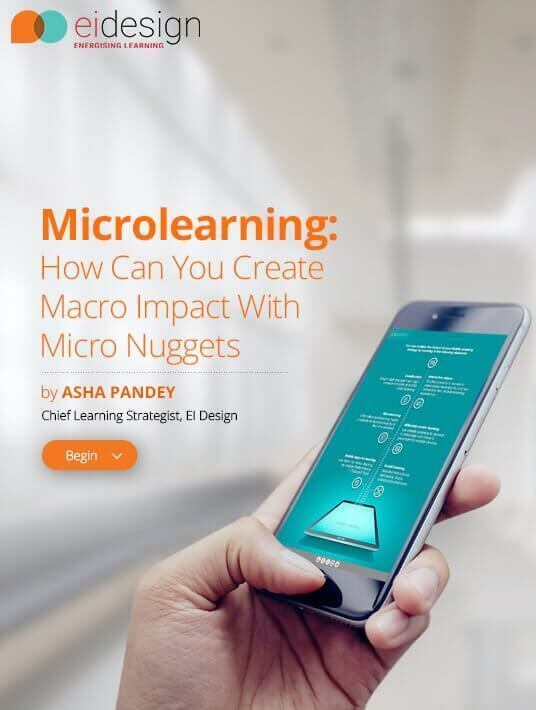 Microlearning refers to presenting learning in short nuggets (3-5 minutes long or even shorter) with a specific focus and to meet a specific learning outcome. Although it can be used for formal training, it is used more extensively in informal training to bring about performance gain. Microlearning is learner-centric and is deisgned as a just-in-time learning piece, usually in rich media formats and is compatible with multiple devices (including desktops, laptops, tablets, and smartphones). Microlearning nuggets offer a higher value when they are packaged as Performance Support Tools (PSTs), helping learners just when they are in need. The fact that learners can access them on the device of their choice at the time of their need makes them ideal to bring about application of learning on the job. Is Microlearning Just A Fad Or Here To Stay? 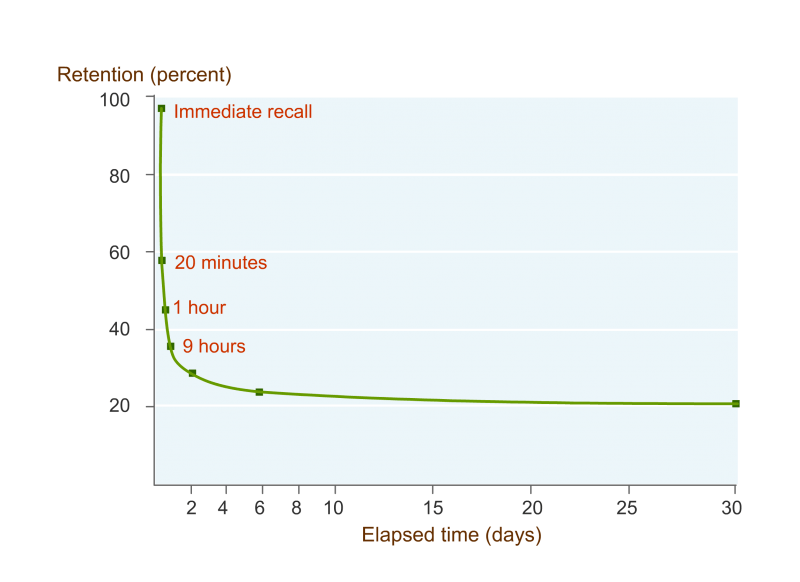 We don’t remember things we learnt a month ago and that’s exactly what this “Forgetting Curve” diagram (by Hermann Ebbinghaus) illustrates – we forget 80% of what we learned in 30 days. Learning nuggets that supplement primary, formal training. Bite-sized nuggets to bring about behavioral change. First and foremost, you can leverage on microlearning to provide reinforcement (post primary or formal training). This goes a long way in ensuring that your formal training is not forgotten but the acquired learning indeed moves to learners’ long term memory. Unlike traditional eLearning, microlearning nuggets are usually designed to last between 3-5 minutes, which is perfect in terms of the human attention span and the working memory capacity of the human brain. The short duration of learning coupled with engaging approaches can go a long way in flipping the “Forgetting Curve” to a “Retention Curve”. You will also see improvement in completion rates as you start using microlearning-based delivery. Breaking down the leraning into shorter bites shows the number of takers for it shoots up. Results from a survey reveal that of the 385 employees, over 50% of them expressed their willingness to use their company’s learning program if the courses are shorter. On account of all these factors, microlearning is an approach that is here to stay. Let’s see what other benefits you will see as you adopt it. There are several benefits of microlearning . Let’s take a look at these from both learner as well as business perspectives. Microlearning nuggets can be used in a flexible learning path and can be used to provide learners with a personalized learning experience. The flexibility they offer in terms of packaging them in the device of learners’ choice helps them address the varied learning styles. Microlearning nuggets can be offered to learners packaged as just-in-time Performance Support Tools (PSTs). They can be designed to meet a specific learning outcome and help learners apply the learning on the job. More than 1.2 billion learners have access to devices such as smartphones and tablets. Microlearning nuggets can be accessed on the device of learners’ choice (including smartphones and tablets) making them easily accessible for learners. Microlearning is an ideal fit for modern-day learners who appreciate information packaged in rich media formats. With time, the average human attention span is decreasing. According to a study, the average human attention span was 12 seconds in the year 2000. Just a decade and a half has passed by since then and the average attention span has dropped to 8 seconds. This makes microlearning an ideal format for today’s learners. Microlearning is relatively lighter on training budgets and gives organizations a cost advantage. Numbers suggest that microlearning can bring down production costs by 50% and increase the development speed by 300%. Shorter the learning nugget, shorter the development cycle. Microlearning nuggets can be developed quickly and therefore, have a short development cycle, helping organizations not just spend less but also ship the product in a quicker turnaround time. In case there are any updates to be made, microlearning nuggets can be updated quickly, again proving beneficial for organizations in terms of the cost and turnaround time. Microlearning can be used for formal as well as informal training needs. They can be used as Performance Support Tools (PSTs), as standalone learning nuggets or as part of a series of courses. 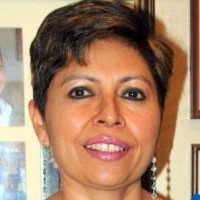 They can also be deployed through LMS or weaved in a learning path of a learning portal. Microlearning nuggets are designed to meet a specific learning outcome. This helps create a high impact as the learner gets exactly what he/she was looking for. Microlearning addresses the challenge of short attention spans very effectively and helps you maximize the impact through short focused learning nuggets. We pay complete attention/demonstrate complete alertness in the first 8 minutes. There is a drop in attention/alertness after 20 minutes. Alertness/attention goes down completely once we are in the range of 60-120 minutes. This very succinctly summarizes why it makes business sense to adopt microlearning based training. Increase in the use of mobile learning. Its ability to be developed and updated quickly. The flexibility it offers to be used for formal as well as informal learning. The higher completion rates that it leads to, thereby creating a higher impact. Its ability to negate the attention span challenge. Its capability to attract the millennial workforce. Microlearning-based trainings certainly find a natural alignment to your millennial workforce. However, they are not limited to millennials alone. We are equally aware of the dwindling attention spans that is applicable to all age groups. All learners today seek is flexibility in learning, that is, on the device of their choice and when they want to learn. More so, they will not sign in to the Learning Management System to find the learning piece. They want it to be available within their workflow, on the device they access most (read smartphones). On account of all these compelling factors, your strategy to use microlearning based training will resonate with all your learner profiles and not just millennials. 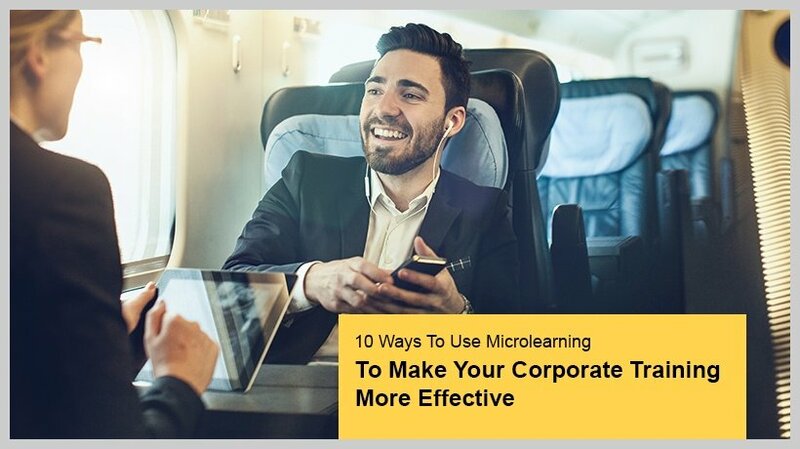 What Are The Ways Or Formats To Use Microlearning To Make Your Corporate Training More Effective? Today, you can take a pick from several engaging and innovative formats. All of these are multi-device formats (supported on desktops/laptops as well as tablets and smartphones). You can pick a particular format based on the nature of content and how it should be applied. At EI Design, we use most of the popular formats shown here to create engaging microlearning nuggets for formal learning, Performance Support, as well as to supplement ILT sessions. Mobile apps for learning and assessment. Take a look at this video to see how we have used each of these formats to offer microlearning. Microlearning can be used very effectively to create sticky learning experiences for pretty much most of your corporate training needs. However, there are certain aspects that should be on your checklist to determine if a given training is apt for microlearning-based delivery. You can refer to my article Is microlearning right for you? to take a look at a checklist that you can use to determine if your training would map to a microlearning format or not. You can also leverage on other trending approaches like gamification and social learning to enhance the impact of microlearning-based training further. I hope this article provides the required insights on why you should integrate microlearning based training in your learning strategy. 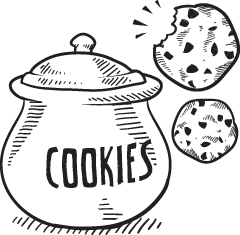 The gains that accrue are Learning and Development teams’ dream list ranging from high completion rates to sticky learning that gets applied on the job and finally triggering the required behavioral change. All of these lead to the ROI that can now demonstrate the required vale for business. Do contact me at apandey@eidesign.net if you need any specific support in using microlearning .